It’s December 1, and Christmas is right around the corner. This means that Christmas and other holiday parties are on the calendar. What a perfect excuse to try a new makeup look, right? 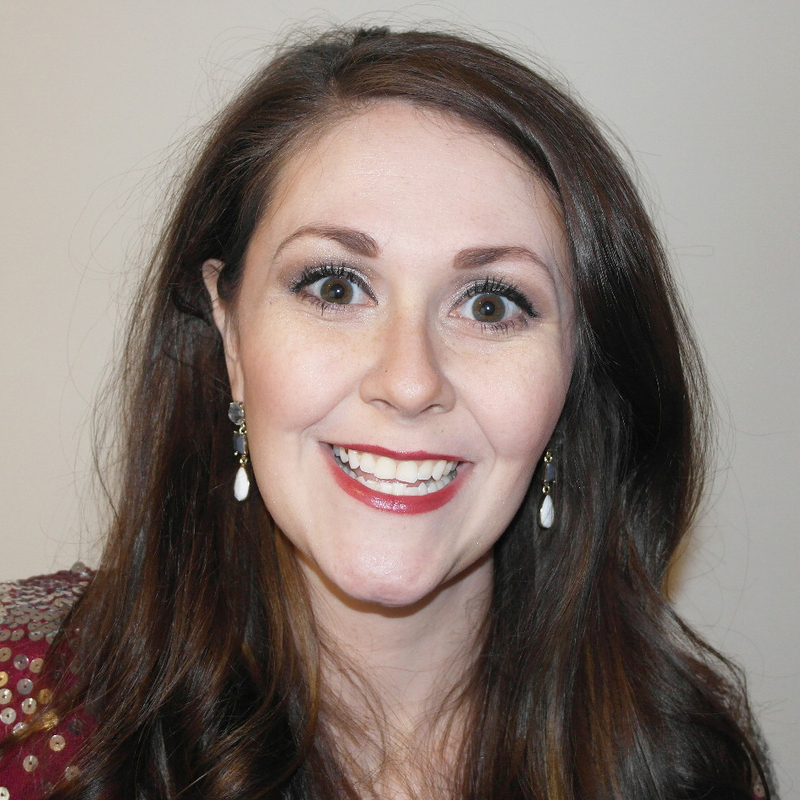 My friend Brittany recently sent me some Younique products to help me create the perfect holiday makeup look! Together, these products are a great way to play up your eyes and create a bronze smokey eye look that will be perfect for the holidays. 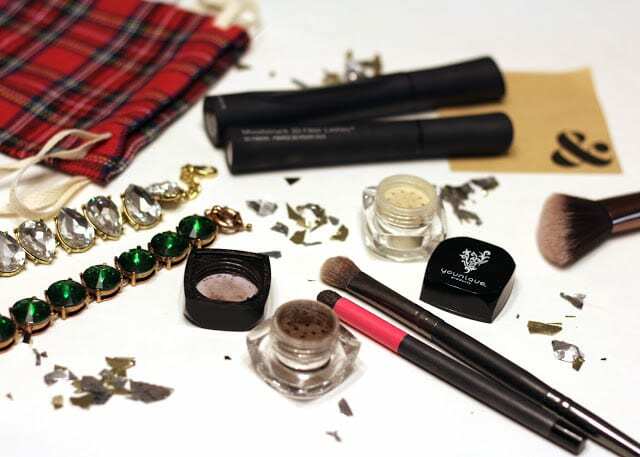 Keep reading for a step-by-step of how to achieve a holiday makeup look that is easy to do! First, she sent me two Younique Moodstruck Minerals Pigment Eyeshadow. The lighter shade is Angelic and the darker shade is Confident. While these are great as everyday shades by themselves, they really up the wow factor when layered. Second, she sent me the latest Moodstruck 3D Fiber Lashes+. I had the older version, which I loved, but according to the website, the new version has a new brush and enhanced formula. My favorite part, however, is that the new ones have little see-through windows in the sides of the tube so you can actually tell how much product you have left. 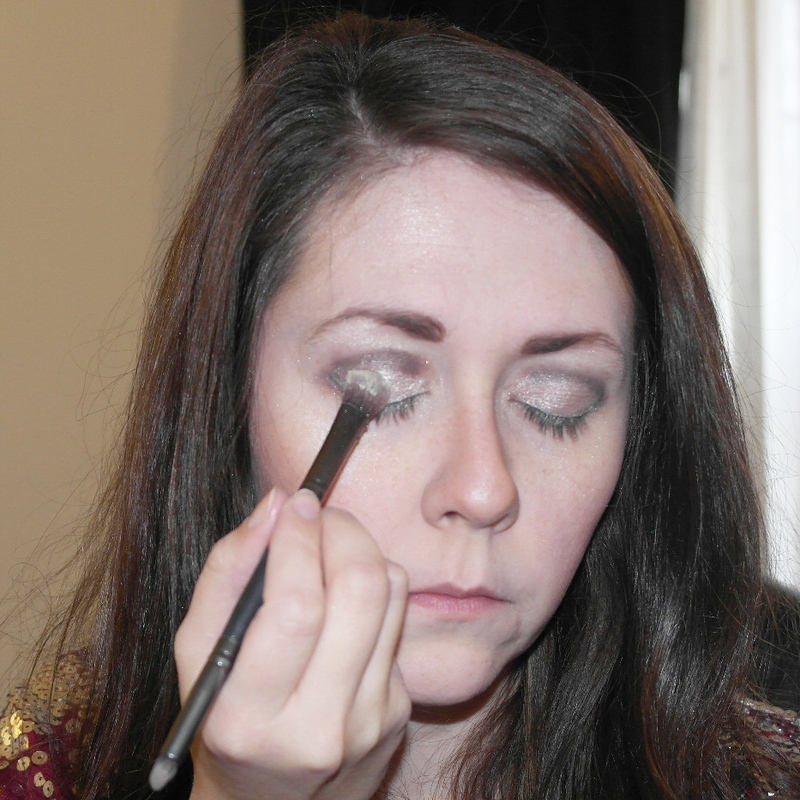 On to how to create a bronze smokey eye, but first a quick tip. 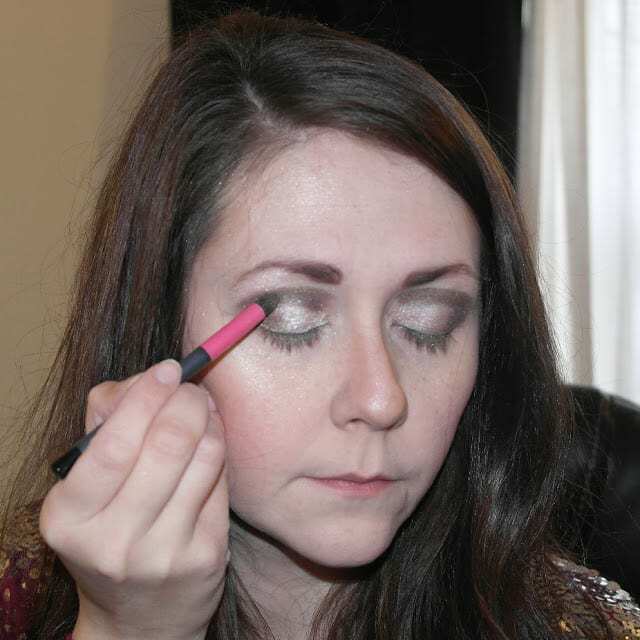 The Angelic shade is awesome, and it can do double duty as a highlighter! 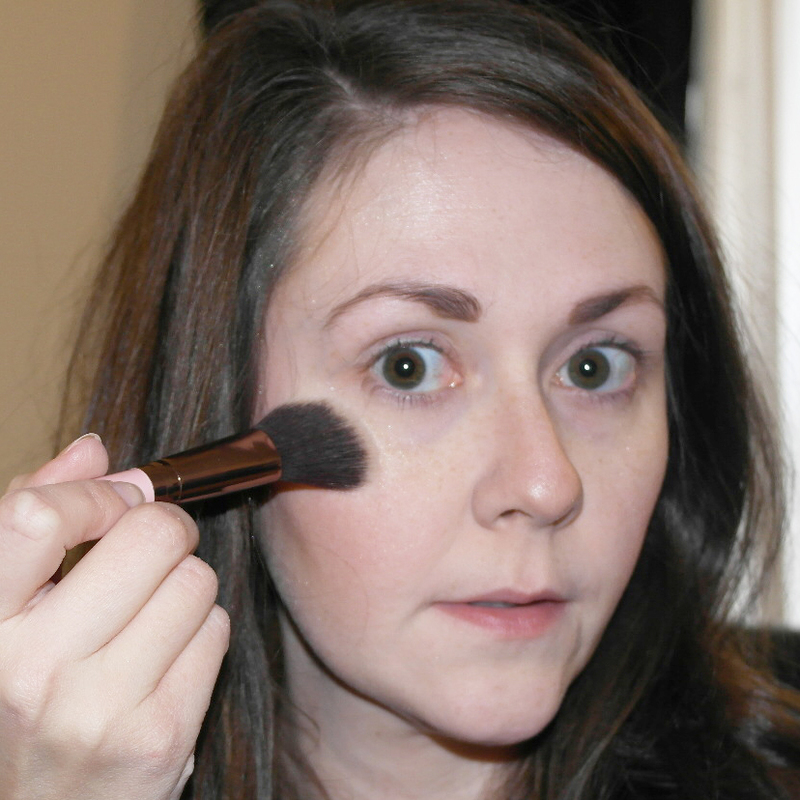 Using a fluffy brush, sweep it under your eyes, down your nose, on your forehead, and in the hollows of your cheeks. Then switch to a regular all-over eyeshadow brush and dust the Angelic shade under your eyebrows, following your arch, and in the corners of your eyes. 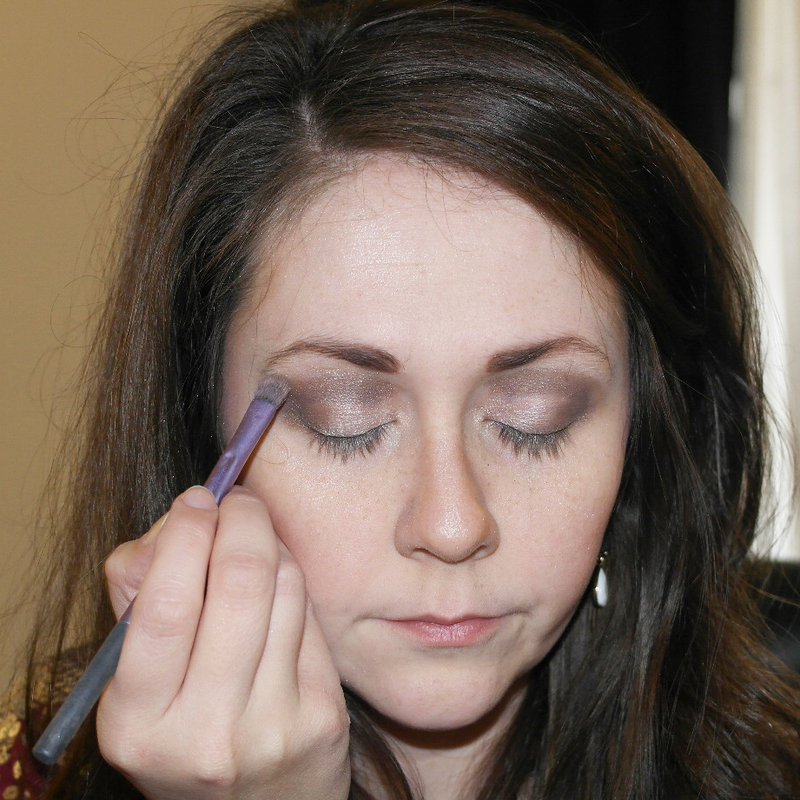 Next, apply a medium brown shade to your lid using the all-over shadow brush. 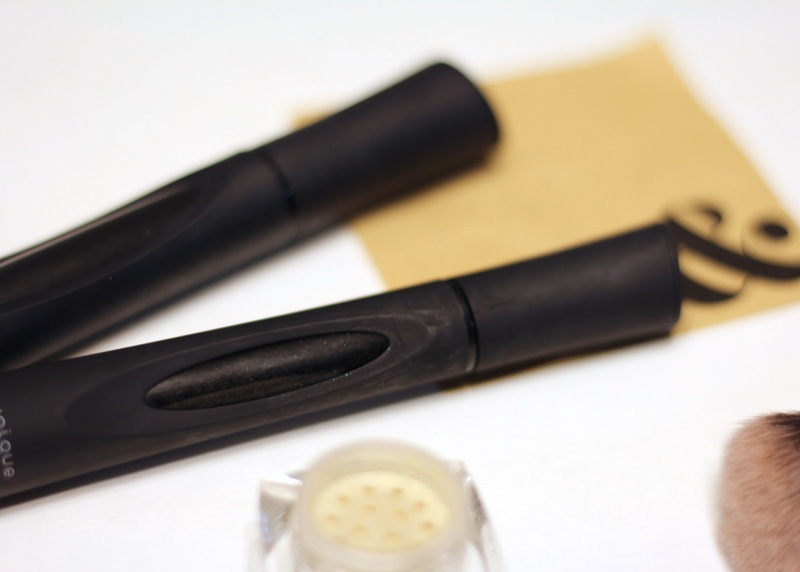 Use a crease brush to carefully add a dark brown/black shade in your crease, then make a sideways V at the outside corners of your eyes, bringing the dark shade towards your eyelashes. 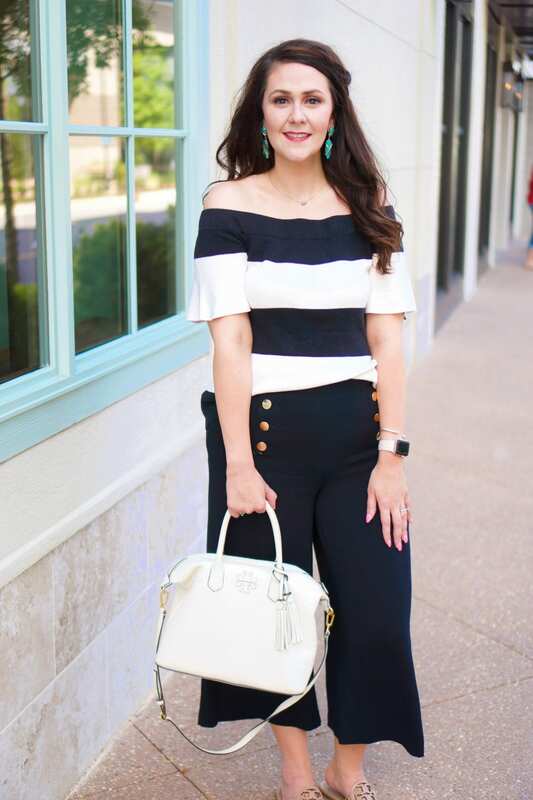 Yes, this looks very bold and very contrast-y, but don’t worry–we’re not done yet! 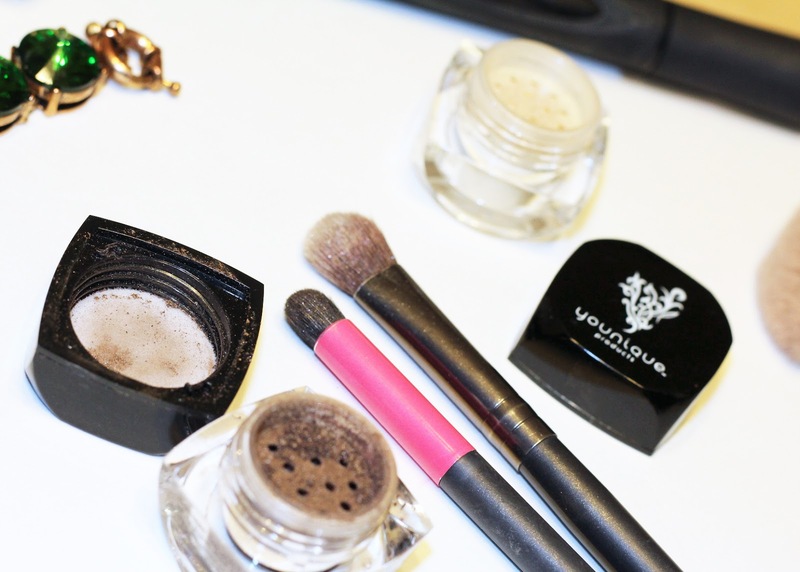 Run your all-over eye shadow brush under water and then dip it into the Angelic shade. 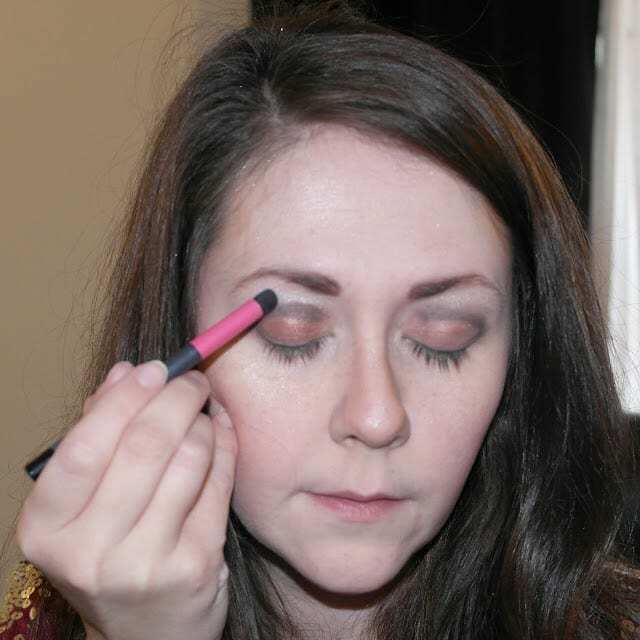 Press the cream-colored pigment on to your lid over the medium brown shadow. The water makes the color pop more. Repeat the previous step by dipping your crease brush in water first, and then in the Confident shade. Trace the dark shadow you’ve already applied, but take the shade a little higher on your browbone than you did the previous dark shadow. 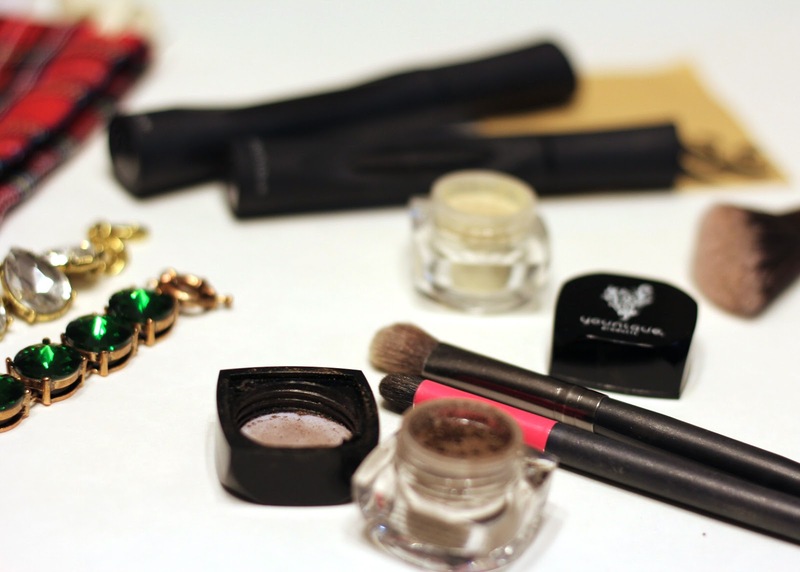 Now comes the most important step–use a clean eyeshadow brush to BLEND, BLEND, BLEND!!! Finish off the look with your favorite mascara layered with Younique False Fiber Lashes+, bold liner, a red lipstick or gloss. 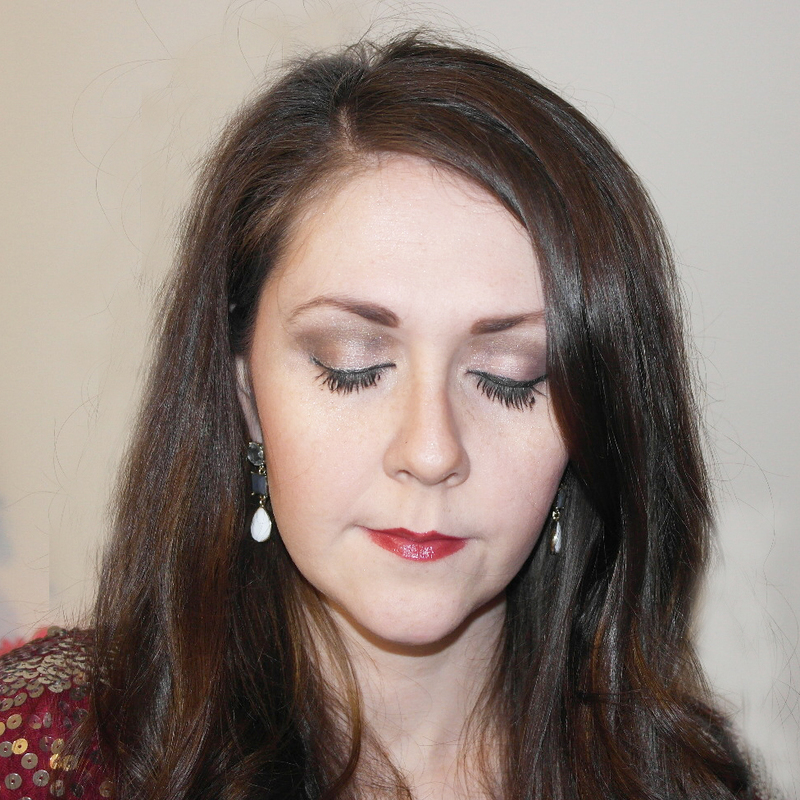 If you’ve never applied false fiber lashes before, check out my instructions here. I wore them all around Vegas, and everyone kept swearing my eyelashes couldn’t be real:) And for eyeliner, I highly recommend using the Covergirl Intensify Me Eye Liner–just use the flat side all the way across your lid, and extend it slightly past the corners. Do you want to try some Younique products? Brittany is hosting a giveaway now through next Tuesday, Dec. 8 at 11:59 p.m. (not exclusive to Bright on a Budget). If you place any order using this link, then you will be entered to win two (2) Moodstruck Minerals Pigment Eyeshadow Powders in the colors of your choice!